The value of many cancer-related tests is actually based on whether the results of the particular test change the way that physicians plan to treat specific patients (hopefully for the better). The FALCON trial was carried out in men with “a biochemical recurrence of prostate cancer” after first-line treatment who were being considered for salvage therapy. Here in the USA, Axumin “is indicated for positron emission tomography (PET) imaging in men with suspected prostate cancer recurrence based on elevated blood prostate specific antigen (PSA) levels following prior treatment”. Also here in the USA Axumin “is not currently approved … for treatment planning” in men with a biochemical recurrence of prostate cancer. The trial enrolled 85 patients, all of whom had a rising PSA after prior treatment. All 85 patients were initially being considered as good candidates for some form of salvage therapy with curative intent. After having the Axumin PET/CT scan, 52/85 patients (61 percent) had their management plan changed. 13 (25 percent) had their management changed from salvage treatment to watchful waiting. 21 (40 percent) had a modification made to their previously planned radiotherapy field for their salvage radiation therapy. In other words, the form of treatment that was recommended to 52/85 patients was changed as a consequence of the Axumin PET/CT scan. Although this was a small trial in terms of the numbers of patients, this is a pretty striking set of results. However, these results do come with some words of caution. This had to be the first biochemical recurrence of their prostate cancer after any form of treatment. PSA doubling times had to be calculated using the Memorial Sloan-Kettering Cancer Center nomogram. In other words, a patient whose PSA levels went from 0.05 to 0.07 and 0.09 ng/ml after surgery or from 0.65 to 1.15 to 1.75 after radiation therapy of some type would not have been eligible for this study. It is worth noting that Blue Earth Diagnostics has also let us know that enrollment in the larger, 220-patient LOCATE study (in men with a rising PSA after initial prostate cancer treatment) was completed earlier than expected, and data from this study can be expected some time next year. The “New” Prostate Cancer InfoLink is pleased to see that the use of a PET/CT scan in combination with the [18F]fluciclovine (Axumin) radiotracer is able to help to better identify the needs of patients with a rising PSA after first-line therapy. 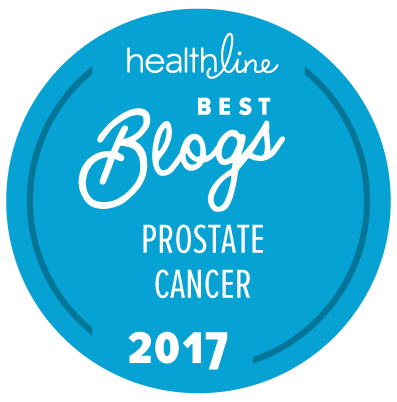 One of the next key questions is going to be whether — at least for men with high-risk prostate cancer — such a scan can give us better insight into how such patients should be treated initially.